There is just some produce that screams summer: Stone fruits, strawberries, and especially sweet, juicy fresh corn! There’s nothing like it. The best thing about perfectly ripe summer corn is that it’s so sweet it can be eaten raw. And even though the kernels are crisp and crunchy without being cooked, they’re tender and juicy on the inside. 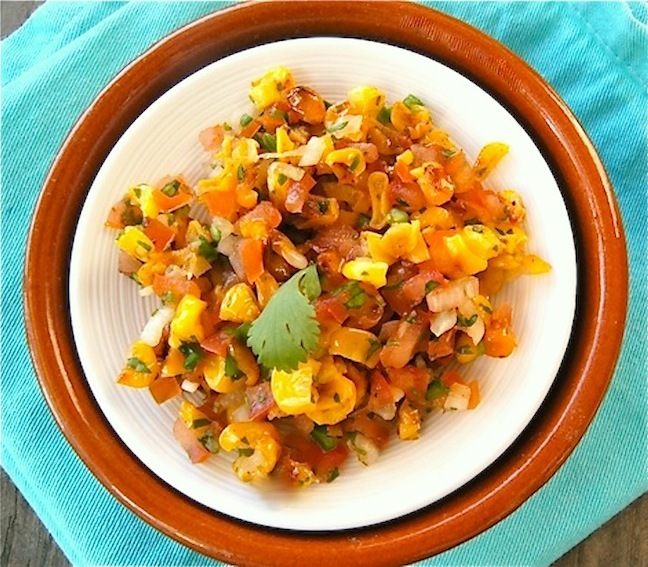 Corn makes a perfect summer salsa. I love this sweet raw corn salsa recipe with chips of course, but it’s also super delicious over grilled fish, chicken or steak. This is the perfect complement to chips, and makes an amazing summer topping for fish, chicken, or steaks. 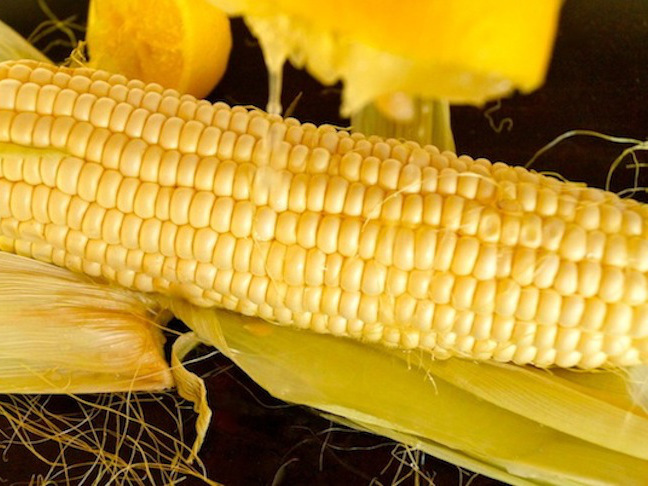 Step 1: Drizzle the corn with the lemon juice, using about ½ tablespoon per cob. Let them sit for a few minutes, while you prepare the remaining ingredients. Step 2: Add the tomatoes, onion, cilantro, and jalapeño to a medium-sized mixing bowl. Step 3: Use a chef's knife to cut the lemon-coated corn kernels off of their cobs, adding them to the bowl with the other ingredients as you go. Use the back of the knife to scrape as much of the corn "juice" as possible into the bowl as well. Step 4: Add the sugar and season to taste with the salt. How to Build a Better Cheese BoardBeer & Cheese Pairings: What Goes With What?